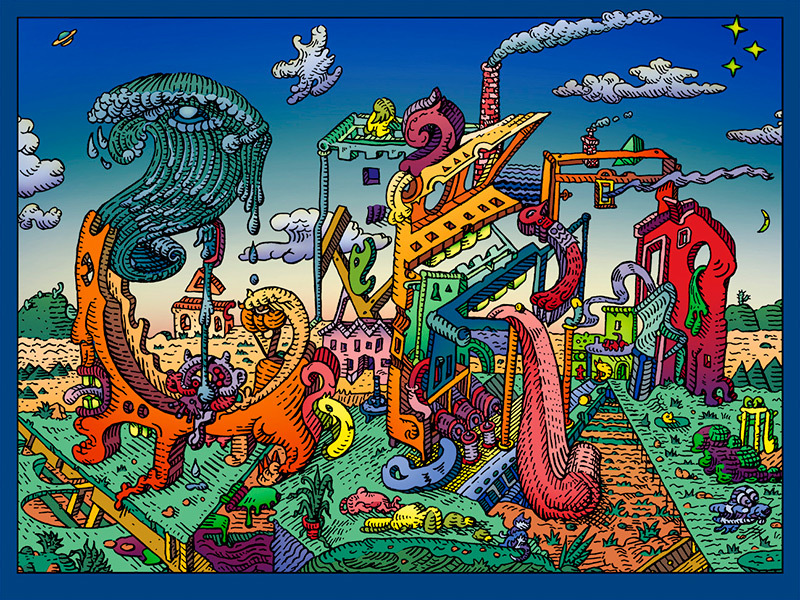 David Welker will have a new print available soon titled, “City Street”. 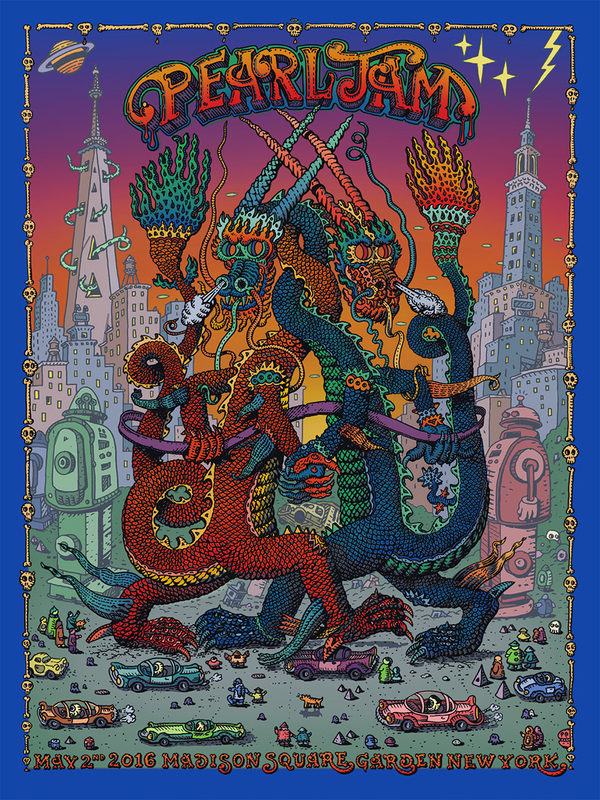 On sale Friday, June 3rd at 12pm Eastern (9am PDT) HERE. 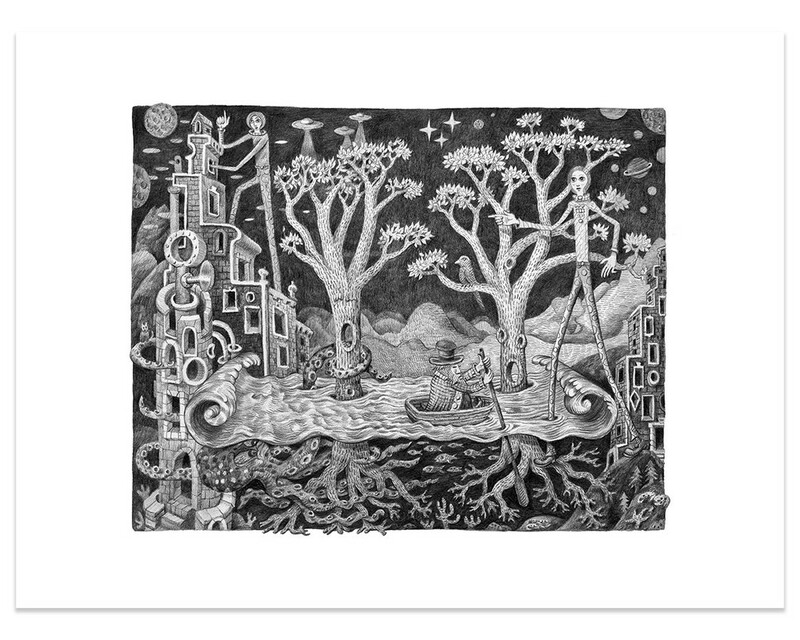 David Welker will have a new print available soon titled, “The Rising Tides” via Spoke Art. On sale Friday, May 13th at a random time HERE. 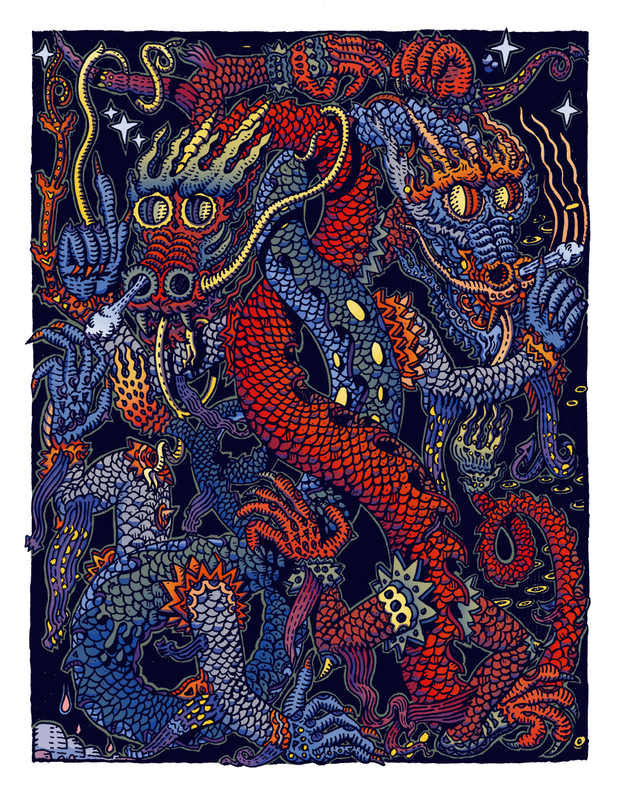 David Welker will have “Pearl Jam – New York, NY 2016” gig posters and it’s art print version available soon via Bottleneck Gallery. On sale Wednesday, May 4th at 12pm Eastern (9am PDT) HERE. 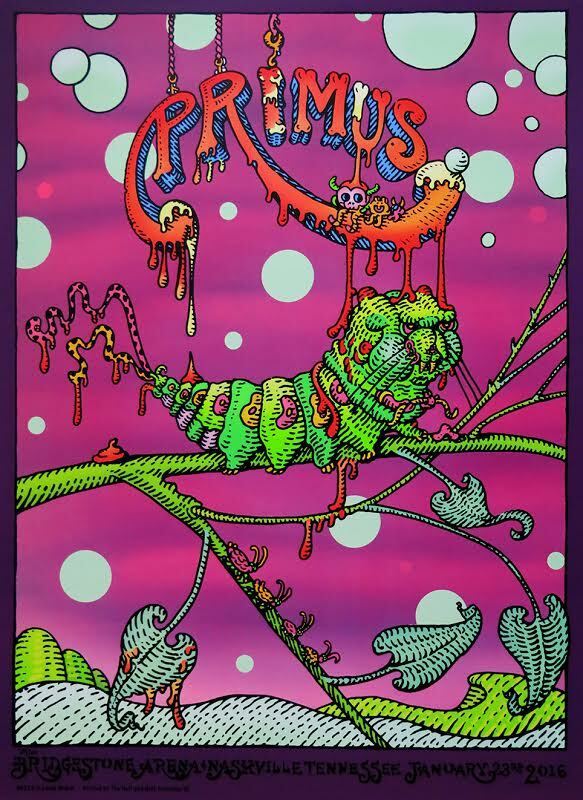 David Welker will have “Primus – Nashville, TN 2016” gig posters available soon via Bottleneck Gallery. On sale Wednesday, January 27th at 12pm Eastern (9am PST) HERE. 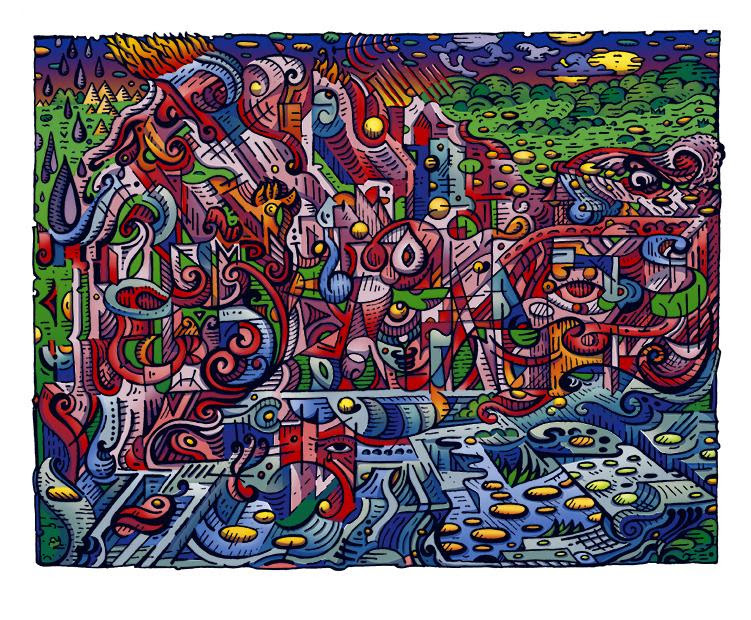 David Welker will have “Pearl Jam – Sao Paulo, Brazil 2015” gig posters available soon via Bottleneck Gallery. 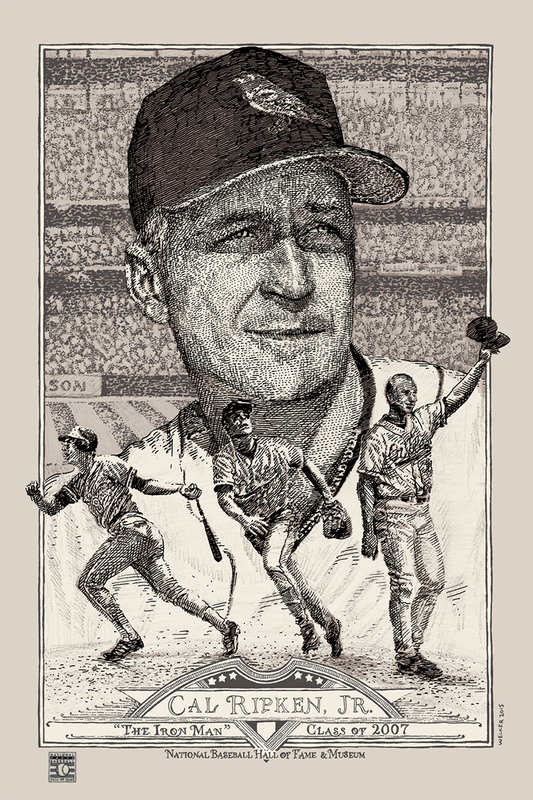 It is an 18″ x 24″ Screenprint, AP edition of 100, and cost $75. On sale Monday, November 16th at 12pm Eastern (9am PST) HERE. 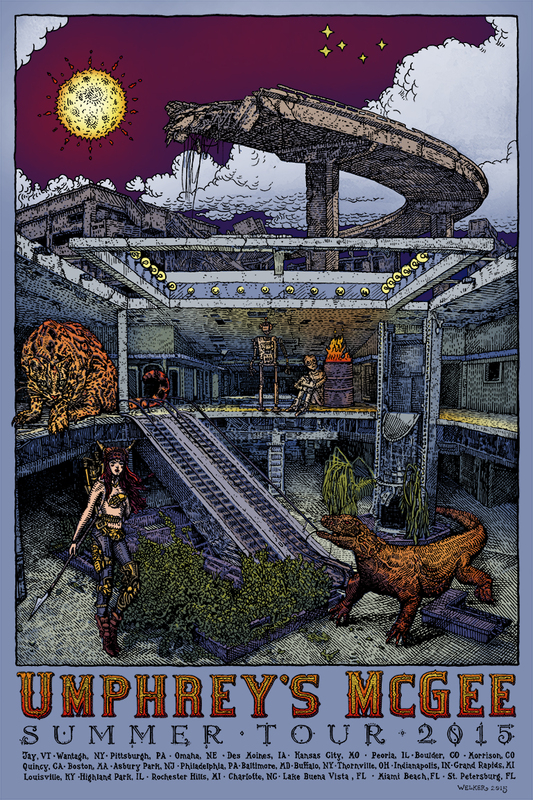 David Welker will be having a pre-sale of 3 prints for his upcoming opening night at Hoerle-Guggenheim. 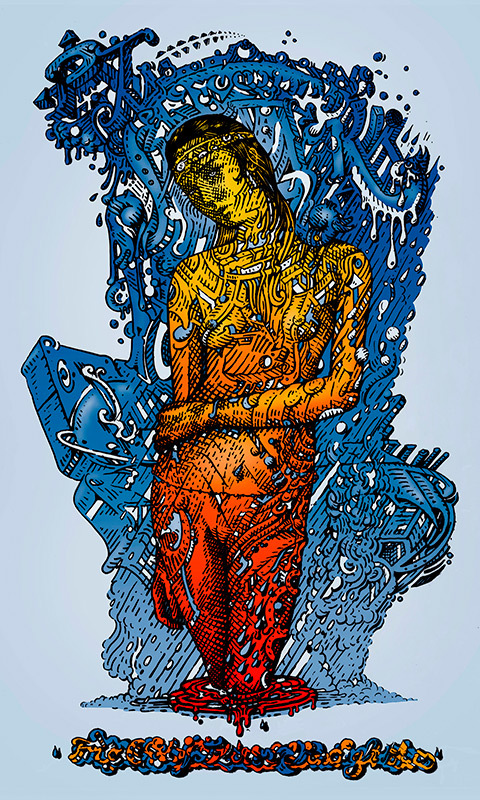 There will be over 70 pieces at the gallery along with several screen prints. On sale Thursday, November 12th at 12pm Eastern (9am PST) HERE. 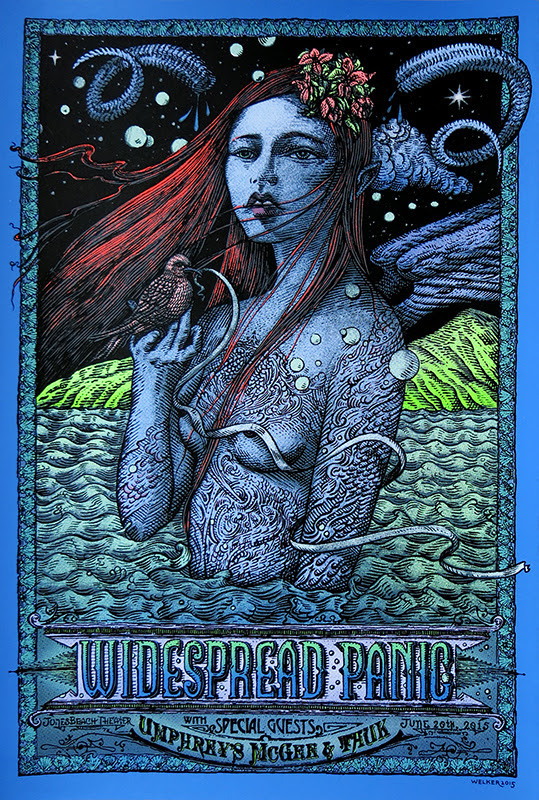 David Welker will have his Rift and Umphreys McGee Summer Tour Poster available soon via Bottleneck Gallery. See below for details. On sale Thursday, October 15th at 12pm Eastern (9am PDT) HERE. 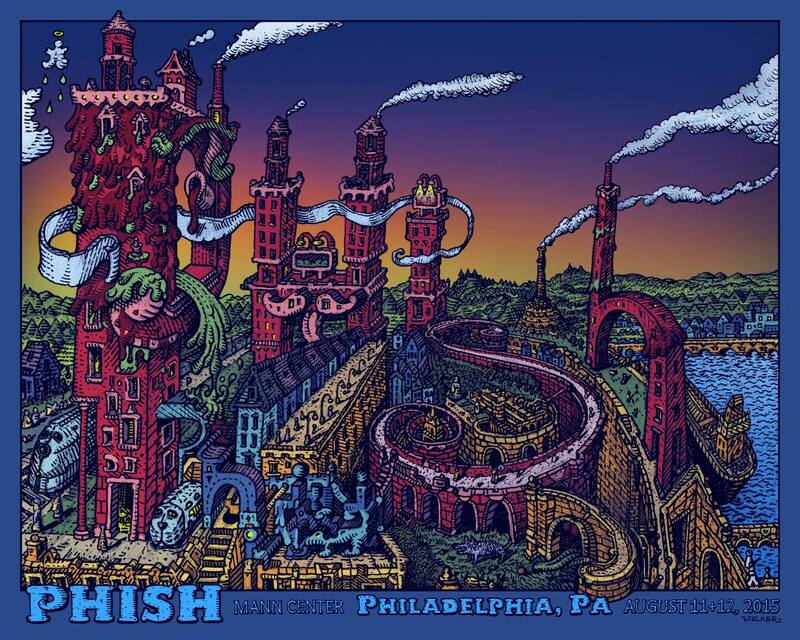 David Welker will have “Phish – Philadelphia, PA 2015” gig posters available soon via Bottleneck Gallery. 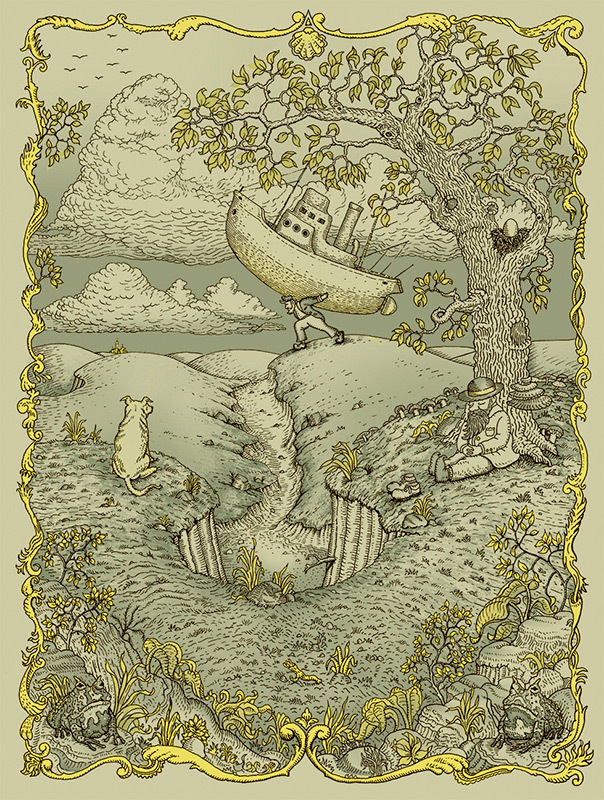 It is a 20″ x 16″ 5-color Screenprint, limited edition of 800, and cost $50. 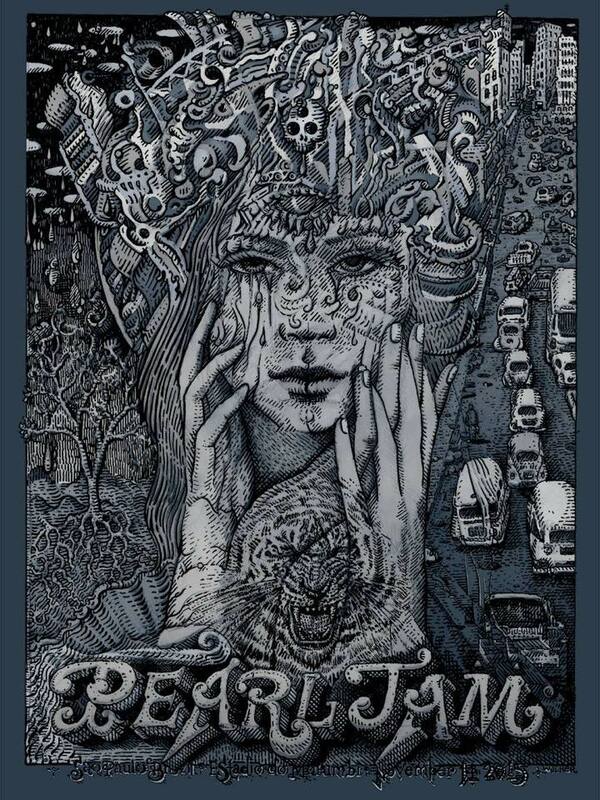 On sale Thursday, August 13th sometime between 12pm – 12:30pm Eastern (9am – 9:30am PDT) HERE. 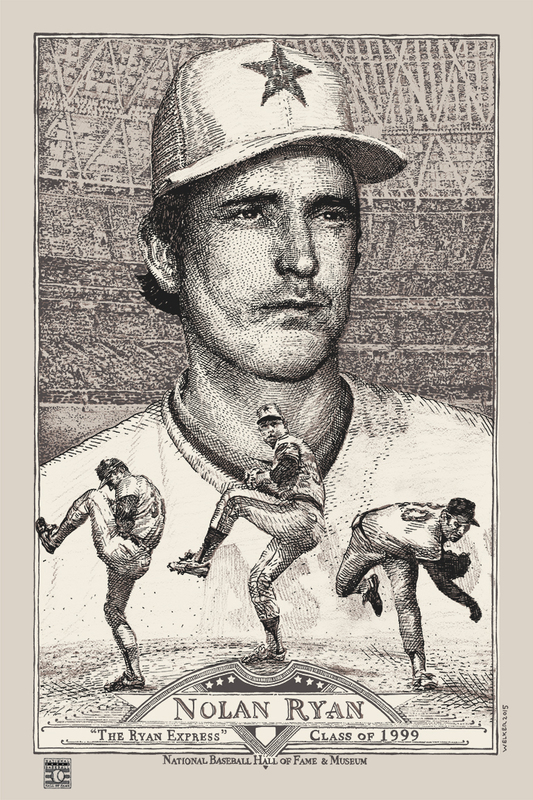 Galerie F will be releasing the first installment in their brand new officially licensed series with the National Baseball Hall of Fame and Museum. 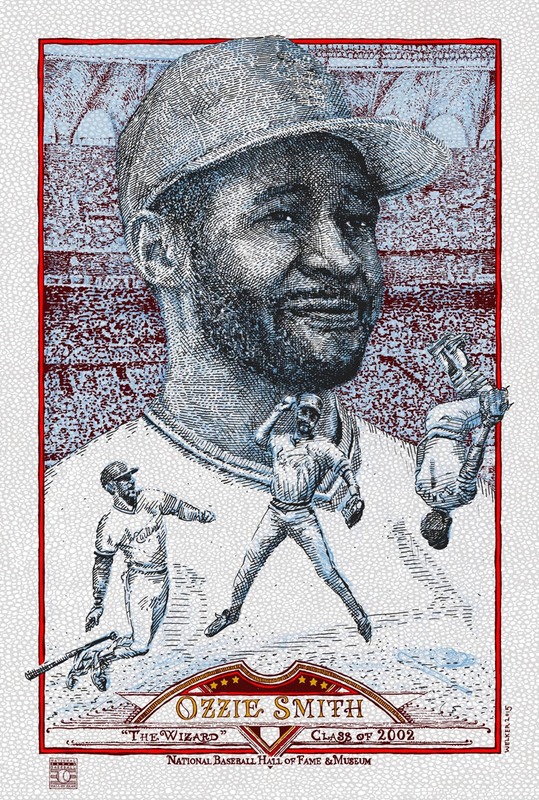 They will be producing silkscreen art prints of famous players from the Hall and potential inductees, once a month during the MLB season. 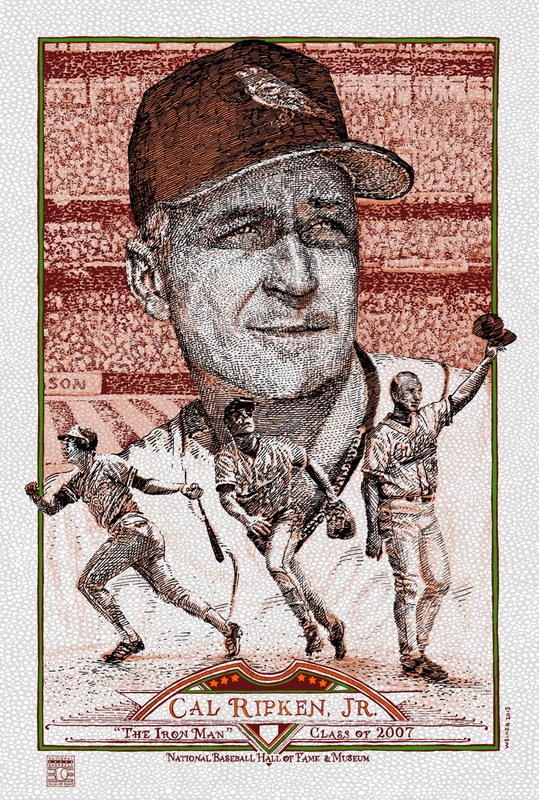 Each release will be designed by a different artist – each artist has free reign over the content and style of each print, so expect a wide range of aesthetics in our very first sports fueled license. 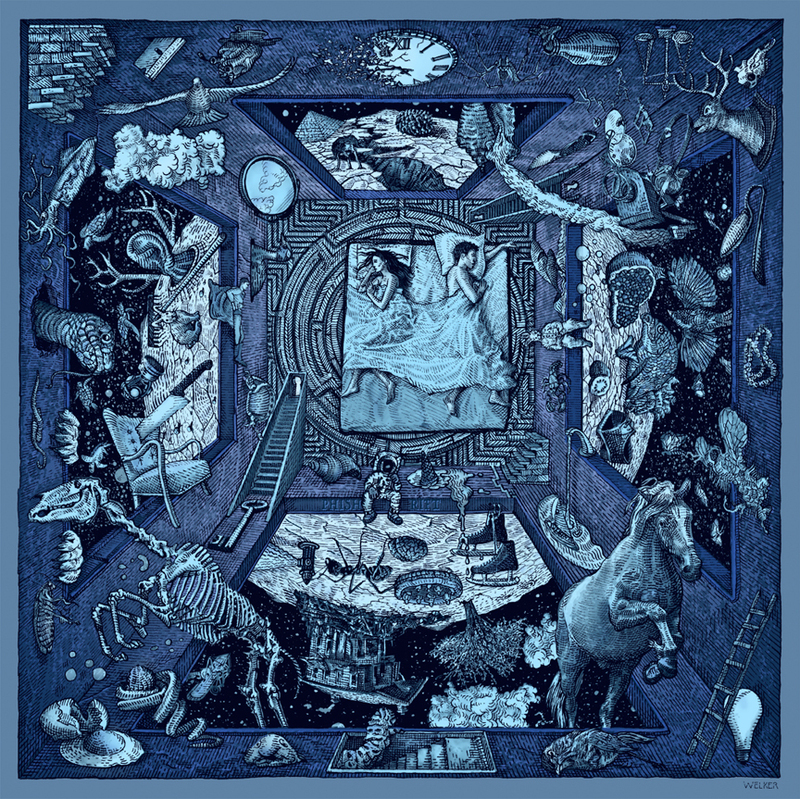 The first release features three designs by David Welker. See below for details. On sale Monday, July 20th at 2pm Central (12pm PDT) HERE. 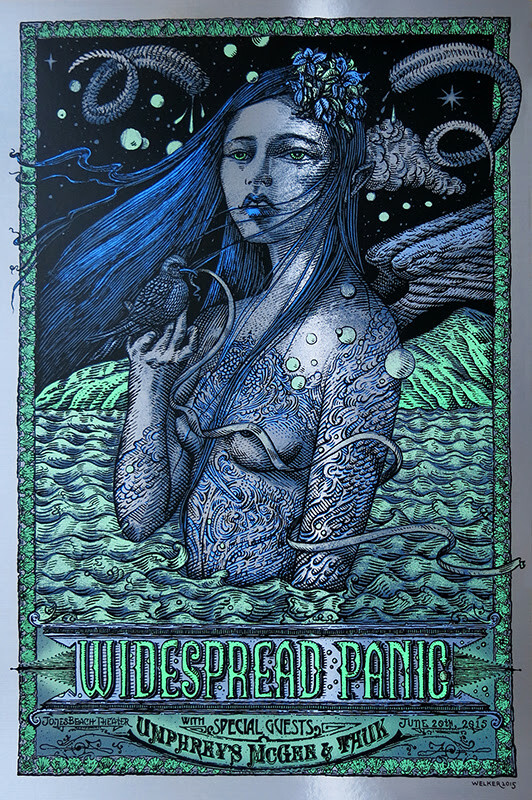 David Welker will have “Widespread Panic – Jones Beach, NY 2015” gig posters available soon via Bottleneck Gallery. See below for details. On sale Tuesday, June 23rd at 12pm Eastern (9am PDT) HERE.